Welcome to Cruise Mechanical CO.
CRUISE MECHANICAL company is located in Flagstaff, Arizona and is a full service sheet metal shop serving all of Northern Arizona. We are a heating and air conditioning company with full EPA And OSHA Certifications with a friendly and courteous staff. 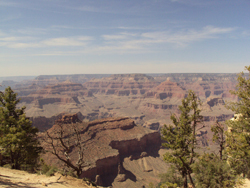 We offer commercial service and residential planned service year round. Our mission towards‚ "going green‚" with high efficiency heating and air conditioning systems and our close attention to current indoor air quality issues are a couple things that are very important to us and we want our customers to know about it. CRUISE MECHANICAL‚ staff works on small residential projects to large industrial-commercial projects. 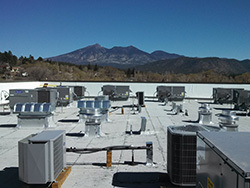 With the design - build capability of any HVAC Project from custom homes to commercial projects. Architectural custom sheet metal is one of our great strengths, everything from custom chimney caps to custom copper and stainless steel hoods, back splashes both residential and commercial. 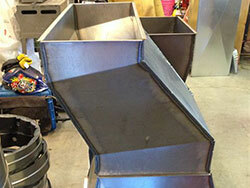 Commercial kitchen hoods large or small complete with fabrication and installation. Our experience with architectural flush panel systems, custom fabrication of cap flashing, and fascia are some of our custom sheet metal specialties. Custom race car and street rod fabrication with an english wheel and aluminum and stainless steel welding are some of our other many specialties. Please feel free to contact us with all your project needs!